Turn on "Do Not Disturb" and then "Allow Call From" everyone, favorites on no one. Hopefully, this will prevent unwanted phone calls. Hope this helps. We tried blocking calls for a while but this didn't seem to help. Are Spam Phone Calls Driving You Insane? 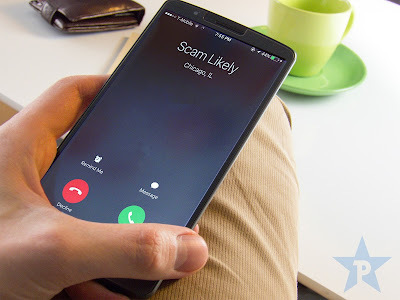 Have you noticed a significant increase in "Scam Likely" phone calls in the last year? What is causing this to happen? Is there anyway to stop it? I have tried blocking phone numbers but apparently these companies keep getting new phone numbers. I think we are getting to the point where fines and regulations need to crack down on these companies. They are a menace to society and waste valuable time and energy for people. As a result of these phone calls I don't answer the phone anymore unless I recognize the number in my contacts. This is unfortunate because I actually might be missing phone calls that I would have wanted to take. Can't the carrier prevent spam calls similar to how email companies prevent spam? Someone in congress or Trump needs to fix this business disgrace! !